The pockets are BIG statement on this dress. 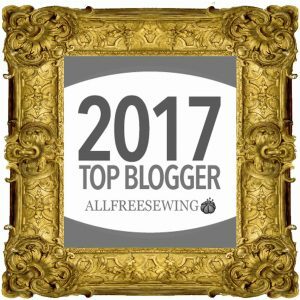 I have topstitched mine using one of the decorative stitches that comes pre-programmed on my Bernina 350. 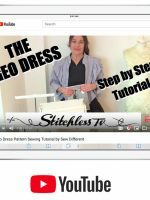 There is a stencil included in the pattern to help you with the positioning of your topstitching if you are going with this feature look. 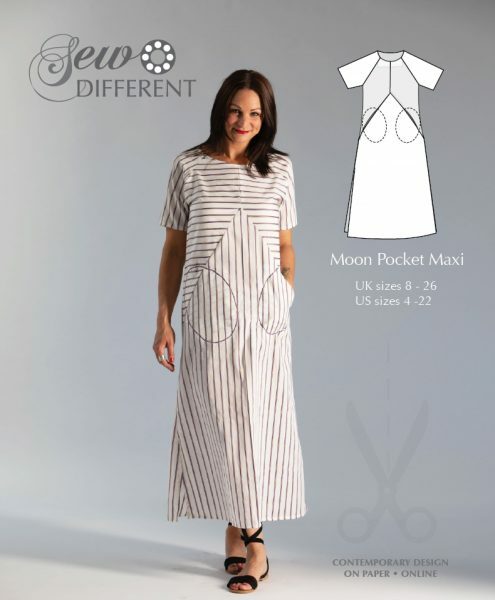 If you decide that’s not for you, you can choose a co-ordinating colour cotton and a standard straight stitch and the ovals will just disappear into the dress. 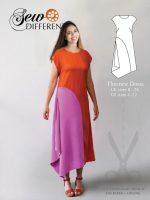 My front cover version of the dress is made from a regular shirting cotton. It was only £4/m from Fabworks Mill Shop. 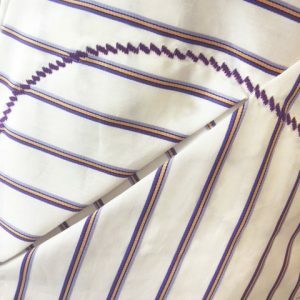 (They have a great selection of shirting cottons in a massive range of stripes, checks, ginghams, floral and polka dots all available online.) 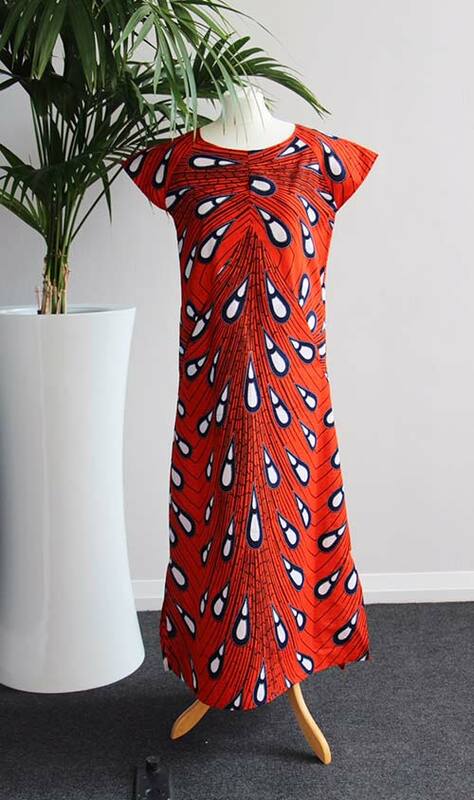 But the Moon Pocket Maxi will work well in most lightweight fabrics and looks great in anything with a good drape quality such as silk, viscose or a soft linen. I haven’t yet tried it in a jersey. I think it would feel lovely and hang beautifully, but I am also sure that the weight of the fabric would pull it downwards and make it extra long, so some experimentation might be needed here with the sizing. 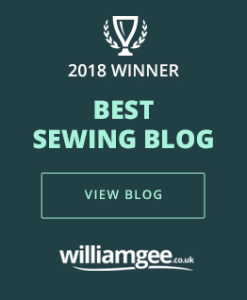 As you can see, I have turned the stripes of the fabric 90 degrees on the bodice for that geometric look which is everywhere at the moment. I give the fabric quantities and layout for this slightly different way of cutting on the back cover of the pattern. There is also the layout for your fabric to run all in one direction if you prefer. There is the option marked on the pattern to cut this dress shorter so that it sits just above the knee and doesn’t utilise the side splits. My short version here uses a gorgeous baby pink and grey stripe (I’m afraid I got the last of it). 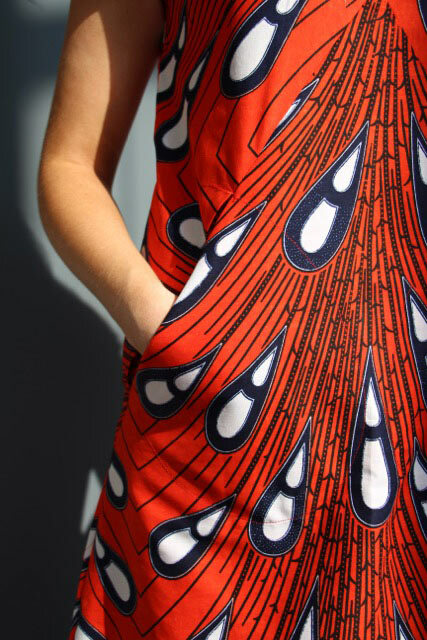 Also shown as an option on the pattern is a cap sleeve, rather than the mid-arm length. I have left out the topstitching detail on this version as the fabric is very fine and scrunched up badly with the embroidery. 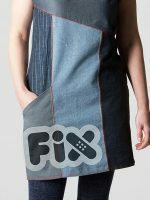 So, as you can see, you don’t have to include the top stitching. To do this you will need to anchor the back of the pocket in place with about 5cm of stitching through all 3 layers of fabric where it crosses the seam. 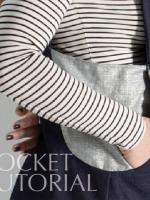 You can then sew the back of the pocket to the pocket lining without going through the front of the dress – see the diagram on the left. 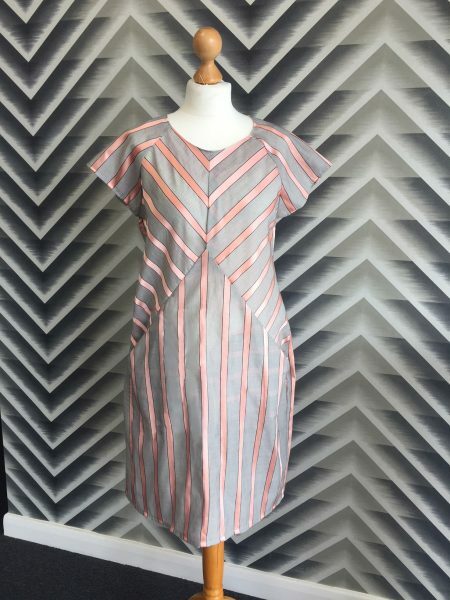 You can have a lot of fun with stripes and the way they meet at the centre of this dress. On my pink and grey dress I tried another option and actually turned the BODICE pattern pieces at 45 degrees to the CENTRE piece to achieve the V across the bodice. There are lots of options and I have more dresses, including some florals, in the pipeline. 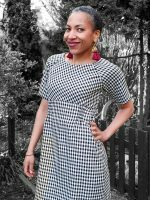 For this show-stopping statement dress, I have used an African wax print cotton fabric that comes from www.dovetailedlondon.etsy.com. I love the fact that it is a sweeping wave rather than an actual stripe so you still get that fantastic change of direction across the bodice. I didn’t have quite enough fabric to do the back all in one piece so I top and tailed two sections so that the pattern splays out from about waist level. Wax print cotton is great to work with. Unlike many cottons, the colours are printed on both sides of the fabric making for incredibly vibrant colours that tend not to fade even after repeated washing. The fabric can have a rather slightly stiff finish, (I think there is a waxy residue left in the fabric after the printing process) therefore, if you are making an item of clothing, you should definitely pre-shrink the fabric (either on a cool wash or by pressing with an iron). This will help to soften the fabric. Some of the Dovetailed fabrics retail at £5 per yard and some at £10 per yard. The more expensive fabric is simply a finer grade of cotton and has perhaps a softer feel to it. In retrospect, although it works well as it is, I think I should have used a finer count for this particular pattern to give it a more fluid look.